This apartment is an open plan large split-level studio with the lounge dining and the separate kitchen areas. It comes fully equipped with an internal laundry, cooking utensils, unlimited Wi-Fi and air conditioning. Located just opposite Australia Square and only two blocks from Circular Quay, Sydney Harbour ferry terminal, The Rocks, and the Sydney Opera House. Everything the city has to offer is within easy walking distance including a large Supermarket just around the corner under Wynyard Park. This is one Sydney's most centrally located Apartment buildings with a ground floor restaurant and gym with a roof top pool. No parking available. 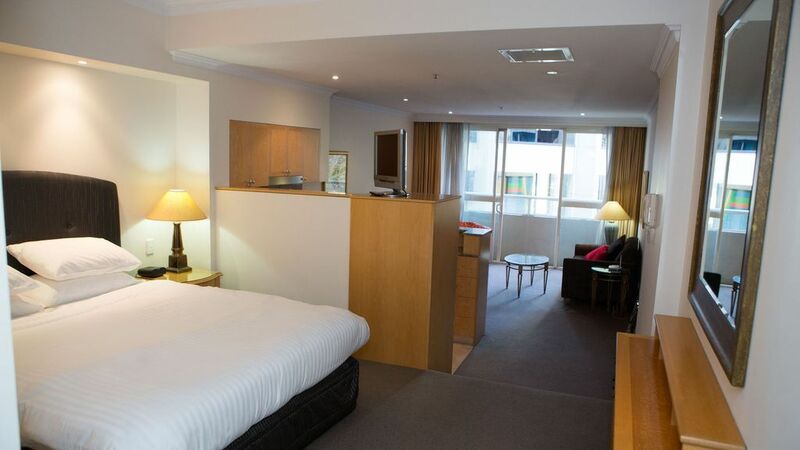 The apartment was fantastic, high floor, great perspective on the CBD, close to everything. Great balconies, lots of space inside & out, and really modern finishes everywhere. I am a picky guest and this place really fit the bill.